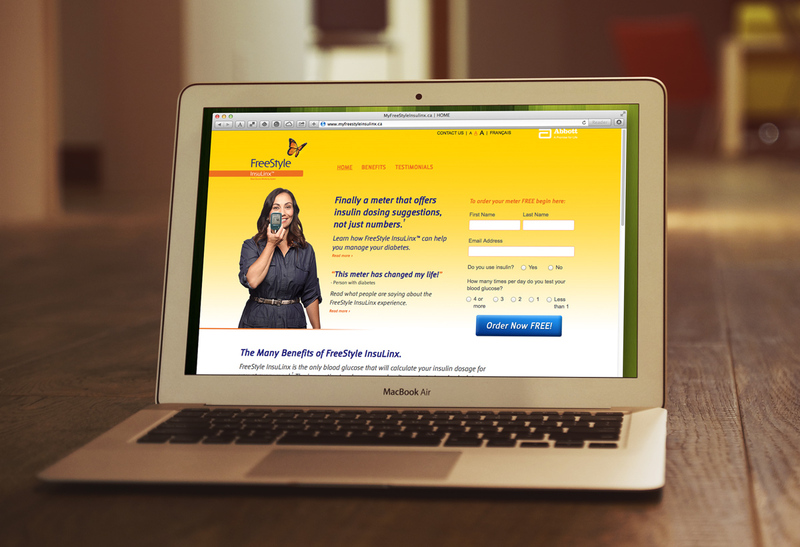 Responsive layout, bilingual microsite designed to get users to fill out the online form to receive a free meter from Abbott Diabetes Care. 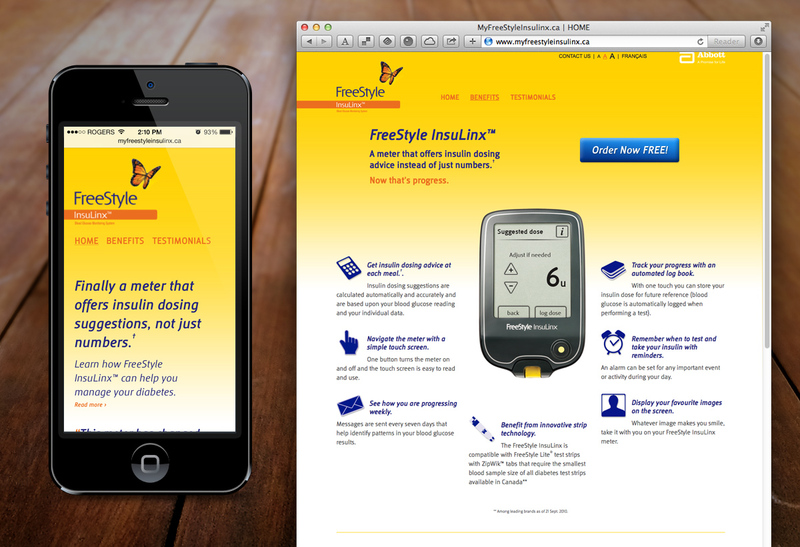 The microsite educates the user on the many benefits of the FreeStyle InsuLinx blood glucose monitor. A dynamic testimonial system pulls random product testimonials from the database and displays them on tiles in a random order according to the length of the testimonial and the size of the user’s viewable area. Users are also prompted to add their own testimonials through the testimonial uploader. Product demonstration and tutorial videos are optimized to play on desktops and all mobile devices.